Childhood cancer has a profound effect on everyone it touches. 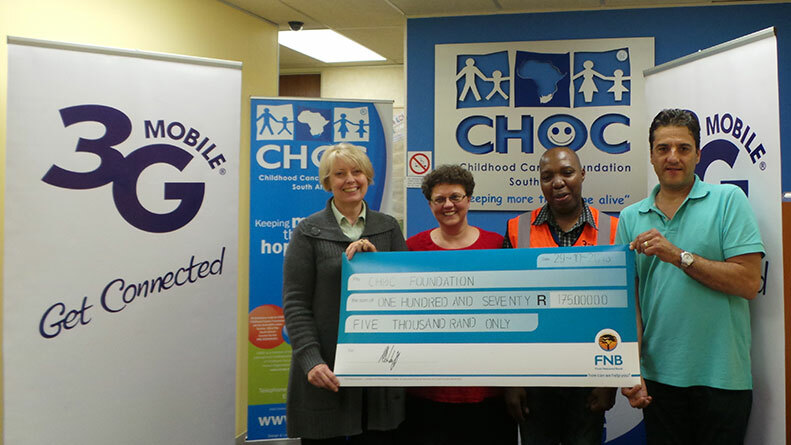 It is with this focus on compassion that 3G Mobile has donated R 175 000.00 to the CHOC foundation. With empathetic support and the right information, it is possible to not only survive its ravages but end up stronger, wiser and more compassionate. 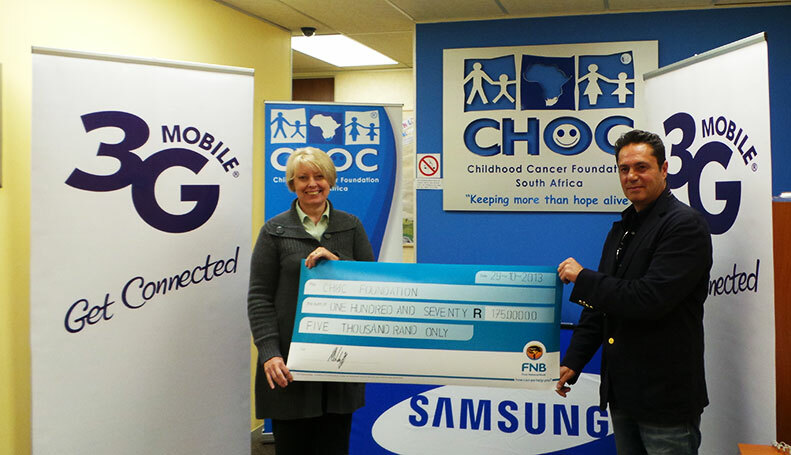 It is with this focus on compassion that 3G Mobile has donated R 175 000.00 to the CHOC foundation. 3G Mobile CEO Shane Lochoff presents a cheque for R175 000.00 to Desre Murray from CHOC South Africa.